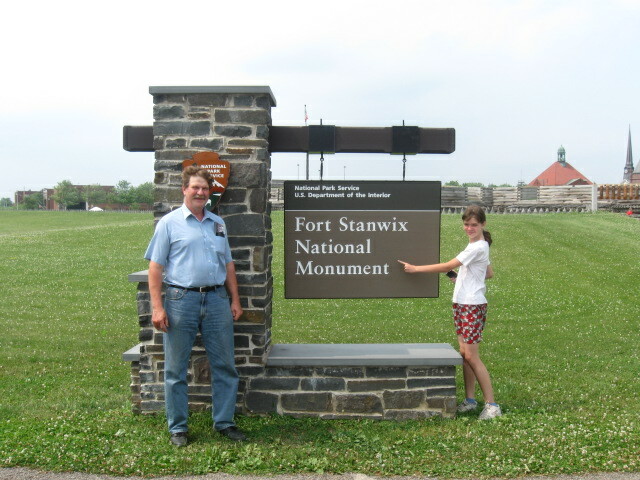 So, It’s been 2 weeks since I wrote anything….I Just got home from a trip up to Upstate NY with my children to Visit my family and friends. It was a Bittersweet trip for me. It was the first time I had been home for a Visit in 3 years. My Grandfather died a year ago….so It was my first time home without either grandpa there….that was hard in and of itself. I arrived in NY the Monday after my church family up there said goodbye to a precious young man who has gone to be with our heavenly Father….my loved ones, family and friends are grieving. Then there was the knowledge and realization that this may very well be the last time I see one or both of my grandmothers on this earth. My Husband was unable to get the time off work to come with me….so I had to face all this on my own. I struggled before I left with the timing of it all…I did not understand why I was flying into the middle of a storm….or why when The storm began I was so far from them all. As I began to make my rounds, spending time with people I love, Things became clearer…..when the storm began, I was physically miles away….yet God used me and my prayers and worship to hold up the arms of so many…I WAS there with them in the Spirit. it was a whirlwind 2 weeks….went by way too fast, and yet so many precious moments…..priceless memories. What was the most amazing to me in it all….was my children. The things they connected with….the people they reached out to. 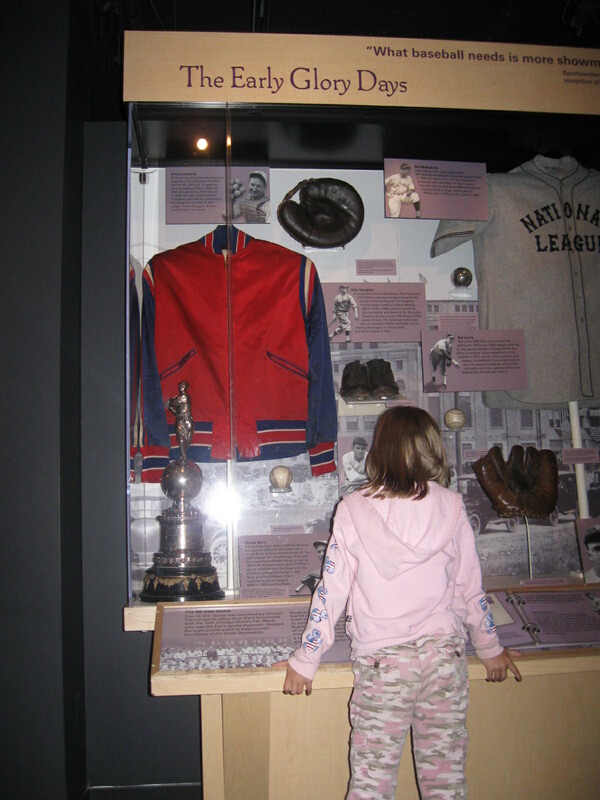 My 8 year old Daughter trying to read everything she possibly could at the baseball hall of fame while her two older siblings moved through at a rapid pace….thankfully my mom was with us, so she took the older two so I could allow for the learning experience to take place…. 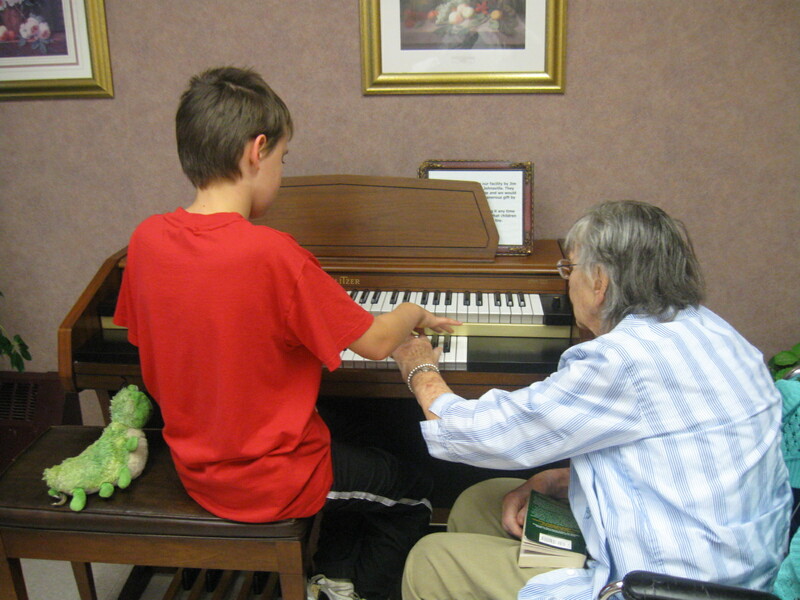 Visiting my grandmother in the nursing home, on two occasions, my Autistic son reached out to her…once when he gave her two pictures he had drawn, and again, when they played the piano in the visiting room together. My grandmother is a retired music teacher…..she is who inspired my deep love for music many many years ago, and for me, this moment brought tears to my eyes…..
My Oldest Daughter “Claimed” a Calf…My Dad asked ” what? you don’t want to take her home on the plane with you?”…If you know my Dad, you can probably see the twinkle in His eye as he asked me that…knowing full well that taking a calf…on a plane….to the city….would most likely be highly frowned upon…. 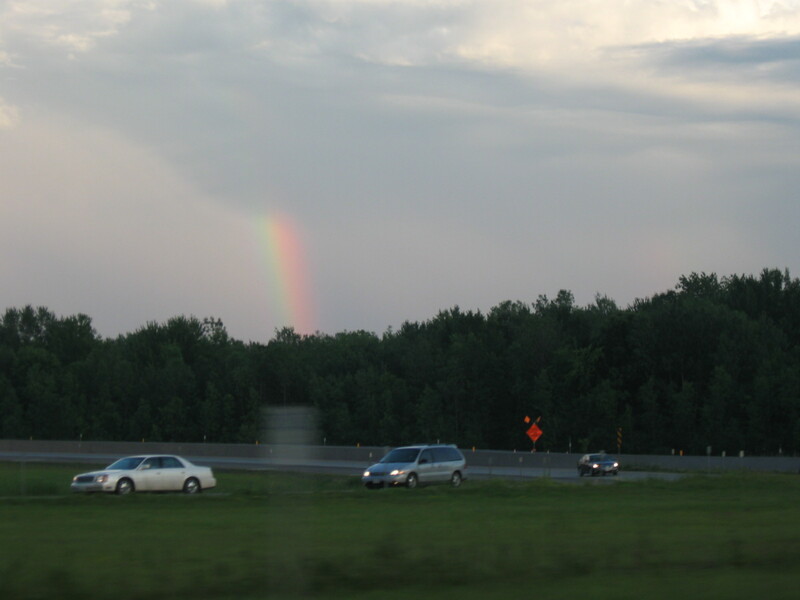 As I went through each day, everywhere I looked, I saw God’s Love…..the day we arrived….on the drive from the airport to my mom’s…we saw a rainbow…God’s Promise…. I saw God’s Love as my children reached out and made new friends…..
and as I watched a connection blossom between the Past and the present…as My Dad helped nurture the “History bug” in my oldest Daughter, much as His father had done with me year ago….My Daddy took me and my oldest Daughter, Sara to Ft. Stanwix ….to see the smiles on both their faces as she ran from one area to the next…pointing things out “Grandpa look at this!” or “Ohh this is cool!” was Priceless! I am sure my Grandpa Settle was smiling down on His History buffs …what a priceless amazing Memory filled day! 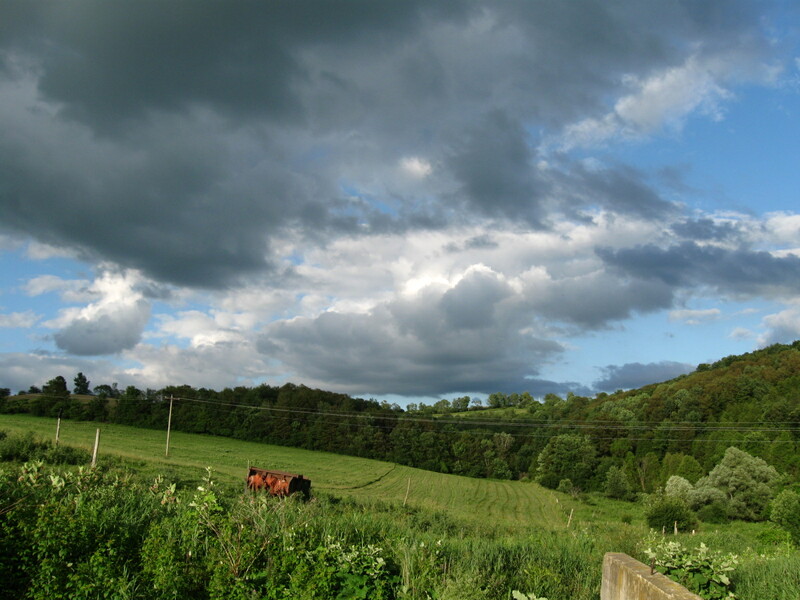 even as I struggled with once again leaving behind the farm and family I love so dear….God met me. My heart is hurting, and yet I know that I am not alone….even back in Alabama…God is with me. 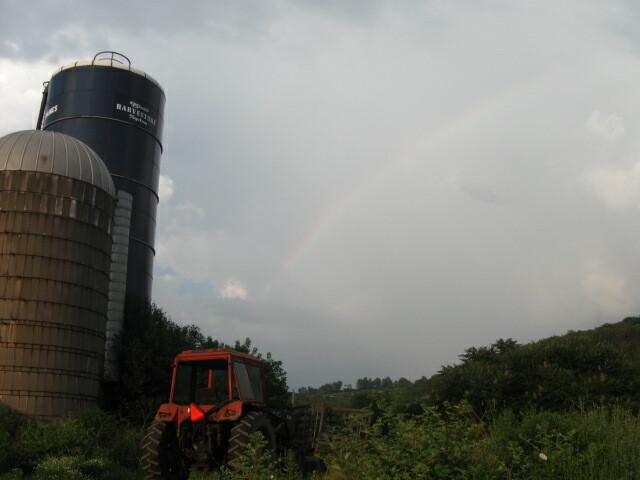 I miss the Farm…I miss my Family and friends….yet I will press on and go deeper, placing my faith in God…knowing that HE has a plan for my life…and HE is in control. 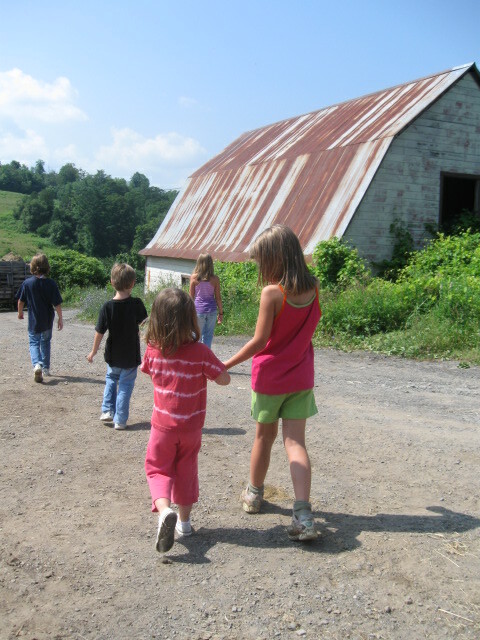 Posted on July 15, 2010 by RachelB	• This entry was posted in Autism, Faith, Family, Parenting, Prayer and tagged Autism, Childhood, Faith, Family, Love. Bookmark the permalink.